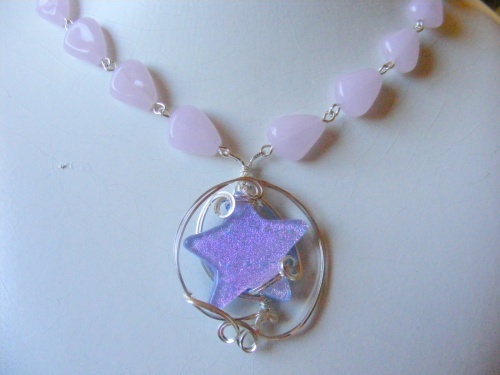 This pretty pink gemstone necklace has a sparkling pinkish blue star for a focal sculpted in sterling silver swirls to resemble the swirls of the stars in the sky. Piece is very unusual and very pretty. Comes with complimentary earrings and measures 18".